Our straight stair lifts are built to last, with low maintenance and high reliability. They run on maintenance free DC power packs, which are automatically recharged at the end of every trip. This type of power ensures that the stair lifts are safe to use, and are incredibly smooth. All Brooks straight stair lifts are guaranteed for a period of 3 years from the installation date. 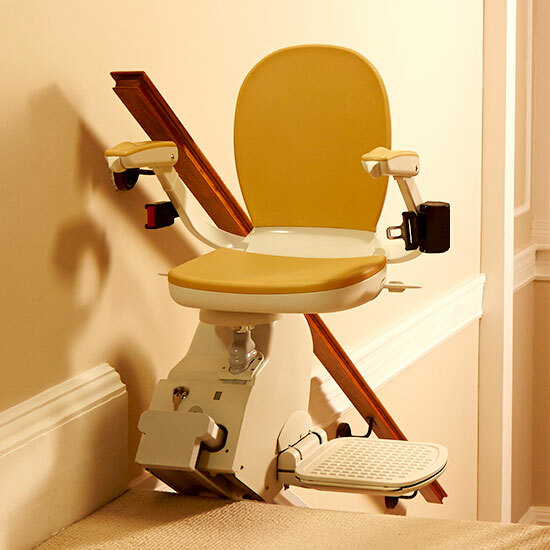 The guarantee covers you for all mechanical failures through defects in manufacture of the straight stair lift. Runs on maintenance-free rechargeable batteries. Works even in a blackout! Weight capacity 20 Stones (127Kg). No unsightly structural work needed - fits direct to your stair treads rather than the wall.